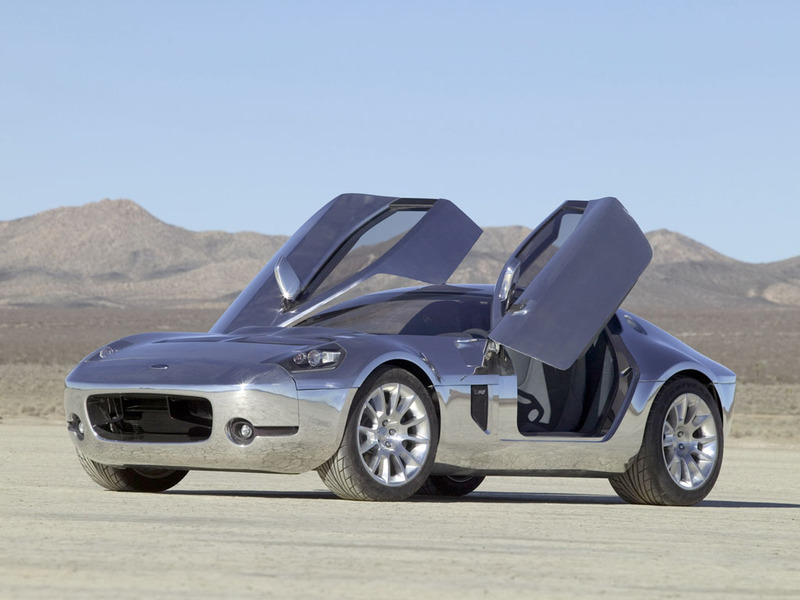 The 2005 Ford GR-1 concept could been the successor to the Shelby Cobra Daytona Coupe. 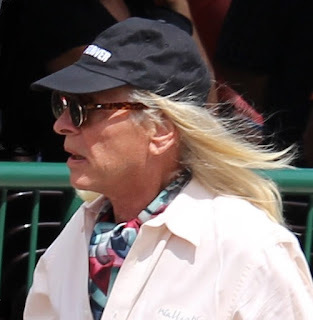 I am, in another one of my many jobs, a strategy advisor for a thoroughbred horse ranch. I often get consulted on which horse to run in which race because some are good on shorter courses than longer ones, etc. Automakers are the same, they develop prototypes but they often are worried if they chose the right horse for the right event. Looking back, I see that the Ford GT of ’05-’06 mighta been the wrong move. Why? Because they had another concept car tat the same time hat would’ve had a wider market, and I am talking the GR-1, a sort of modern interpretation of the Cobra Daytona coupe designed by Pete Brock at Shelby American way back in 1964. Ford, in selecting the Ford GT design to go forward with for the 2005 model year (and produced only two years, the last year being 2006) built a car with a limited market. Did you know, it has no trunk? Yeah, kind of hard to go grand touring (which is what “GT”) stood for, with no trunk. Looking back, the ’05-’06 Ford GT mighta been reaching too far, insisting on having a modern car that was a homage to the Ford GTs that won Le Mans in the Sixties. Mid-engined cars require sacrifice of luggage room, and hugely expensive gearboxes (I wouldn’t be surprised if the Ford GT gearbox cost at least $17,000 to replace). 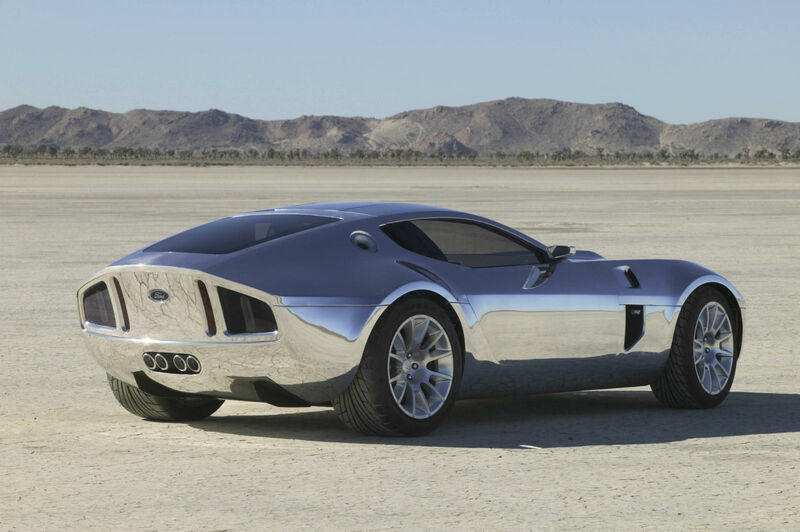 Which makes this alternative Ford GR-1 concept car something you wonder about. Why did it appear and then disappear? It was called the GR-1 and maybe it would have been more practical than the Ford GT they built. And they could have built more Ford GR-1 coupes instead of the 4,038 GTs they built. In fact, I hardly ever see Ford GT’s, I see many more Ferrari Daytonas even though around 1,200 of them were built over 50 years ago. So Ford’s hope that, at every Ford event, there would be a few GTs flying the flag bearing the blue oval was dashed. The cars are hibernating, going up in value but are not out and about. 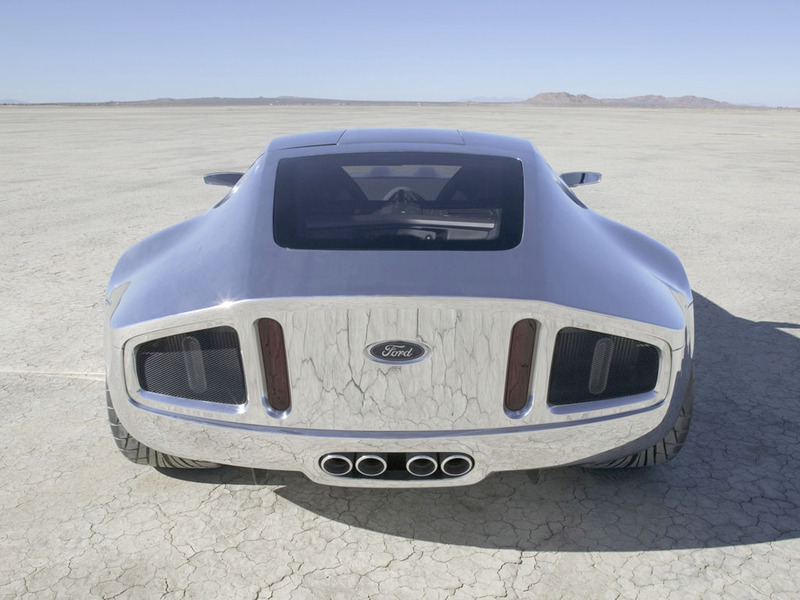 Ford used to only name the design director in new concept car releases but not only di they name Camilo Pardo as the GT designer but this time, in '05, named George Saridakis, whose idea for reviving a Daytona coupe type car was so on target Ford says they went to clay in just three drawings. 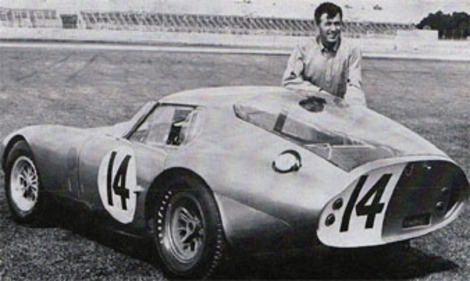 Actually it’s a much updated look at the Cobra Daytona coupe which even school kids know was created by Peter Brock, then a teenager at Shelby American, back in 1964. Originally Ford said it was a rebody of the chassis already developed for a more bluntly styled ‘04 Shelby Cobra Concept roadster platform.The GR-1 uses a 6.4-liter V10 rated at 605 horsepower. 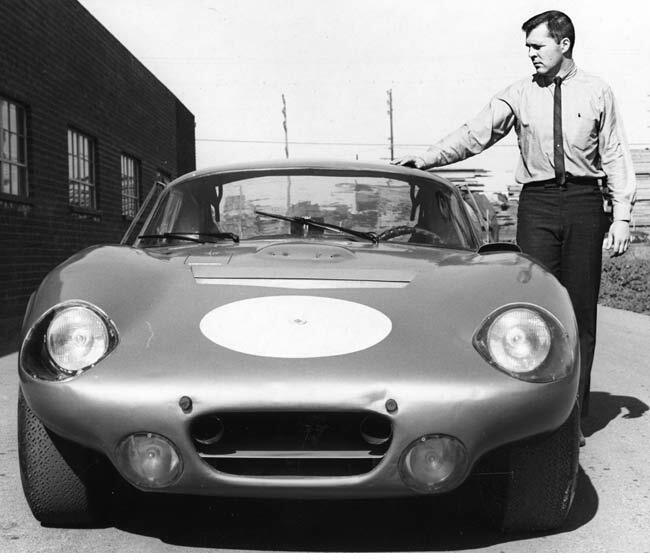 But when I saw it during the last week of October at the Art Center College a Ford designer who was sent out from Dearborn to show the car at a concours said it was a mid-engined Ford GT platform, with the engine moved to the front. Polishing out the chrome was a brilliant idea. It was supposed to make its debut in polished alloy d at the Pebble Beach concours on the “dream car lawn” but someone dented it and they had to roll out the painted clay model to display instead. Oh the ignominy of it all! As I say, I saw the car recently. Oh, it looks good, but why it wasn’t green lighted for production is the tale not told. Chevy has been selling 20,000 Corvettes a year for several years and I am sure Ford could have sold 10,000 of these per year, twice as many as they sold of the $150,000 Ford GT, especially if these newly minted Daytona type cars were more like $75,000. One wonders why it didn't get approved? That’s a secret we’ll keep asking about until we get somebody to spill the beans. 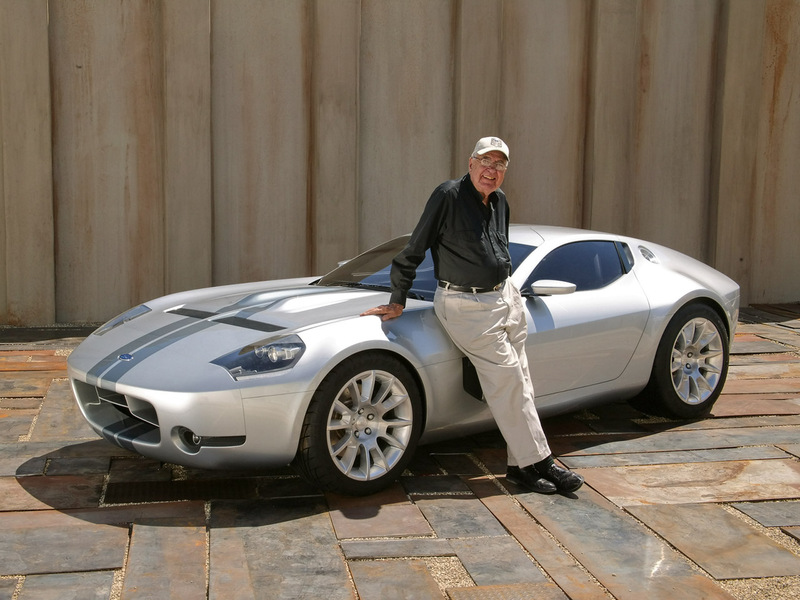 It might have been that they were already going to pay Shelby a per-car royalty to resurrect the Shelby Mustang and this would have required a similar homage/per car royalty (Detroit automakers hate to pay royalties…). Another worry? If they called it the Daytona, one wonders if Chrysler, who made a car called the Daytona, and Ferrari, who also made a car called the Daytona, might also have appeared, palms out for the use of the name? Or maybe the Ford GT was a design they thought could win at LeMans where a front engine car had no chance? Well, the ’05-06 Ford GTs were raced but they sure didn’t have factory support, didn’t win the 24 Heures du Mans overall, and I think have a worse racing record than the Viper, Chrysler’s front engine supercar. So Ford chose wrong, sold 4,038 Ford GTs in combined sales, ’05-’06 when they could have built this on the same chassis and sold 10,000 a year. And so it goes. Ford made a brilliant left turn into nowhere-land (though you could argue the latest Ford GT was inspired by the '05-'06 version).